Lightning clearly visible here from storms off the coast of NE NSW - up to 3 times a second - but mostly 1 - 2 flashes per second... although they appear to be weakening slightly at the moment, both visually (lightning wise) and on radar. Any NE NSW people watching this? 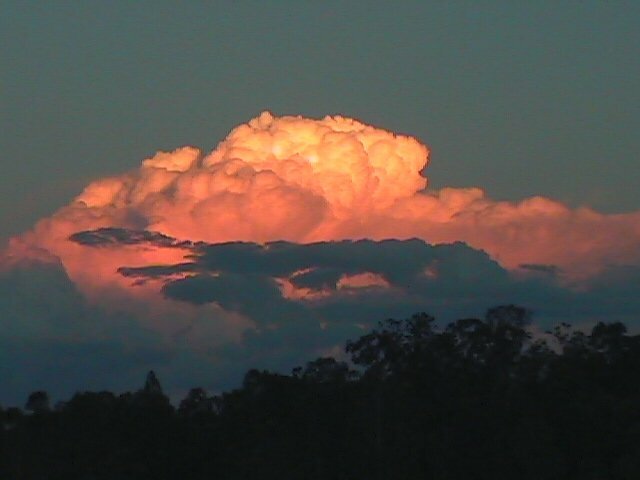 There was a very nice (distant) view of the northern NSW storms this arvo from Mt Coot-tha in Brisbane just around sunset. A nice light show as the twilight dropped away too - around 60 CC flashes per minute (too distant for the cloud base to be observed). Muggins here forgot his camera of course :-( . Hasn't been much action up this way lately - just showers or rain and SE winds. However some storm activity eventually made it to the Far North Coast late afternoon yesterday. 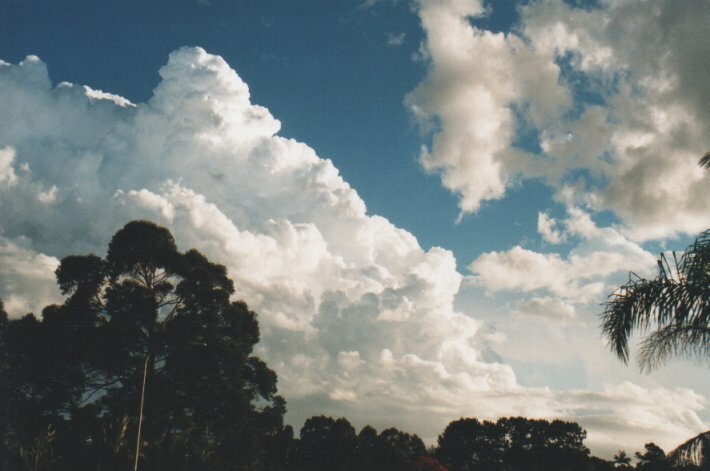 From mid morning we had high constrast (absolutely free of haze) cumulus and congestus popping up giving the odd light shower here and there, but it was obviously highly capped with some of the larger clouds growing to about 4-5ks then spreading out as altocumulus. 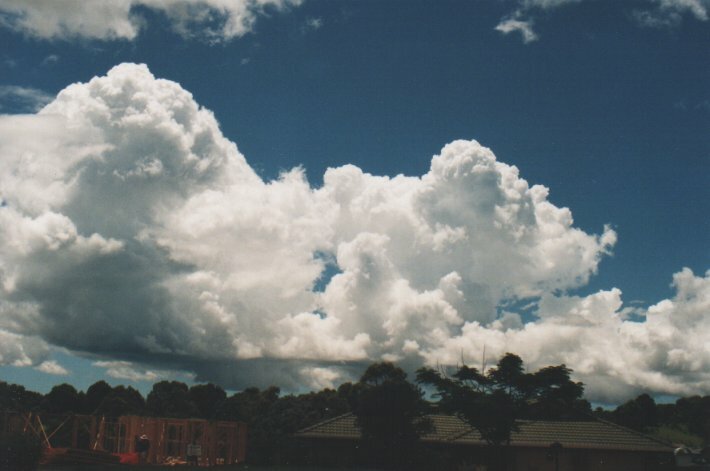 Quite similar to Sydney on the supercell day of 14/4/99. 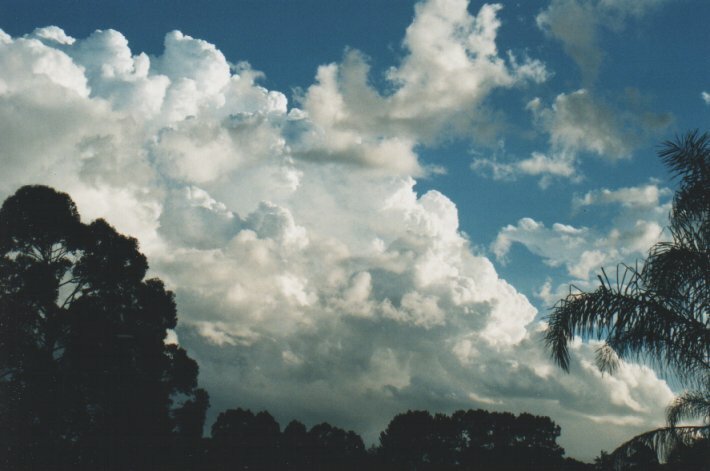 Large storms were evident to the far south from early afteroon and activity very slowly made its way here by late afternoon. Cells developed close to the coast about 50ks or so to my south by 6pm and tracked mostly ENE to NE along the coast. I had an excellent view of the cell over Evans Head from just after 6pm to 7pm local before fresh SE winds spread stratus in the way. 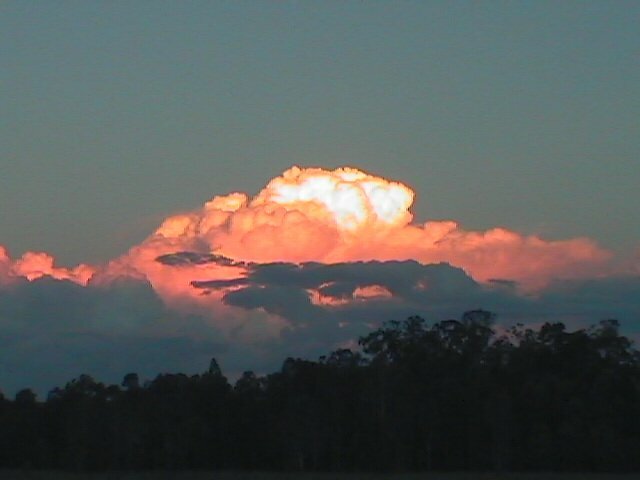 At the same time another cell was observed east of Ballina. Both cells had beautiful boiling updrafts at the rear (I was looking towards their NW and W flank), but were not very high, probably 10km max and had very little lightning activity (this is from my observations and from Halden Boyd at Evans Head and John Graham at Ballina) - obviously that changed further north as Ben reported. There was some comments last night on ICQ about a cell being supercellular based on the longevity, the slightly different direction (more northerly) and from IR satpics. The features I saw of the cell near the coast were not of a supercell, but perhaps the cell further E is the one - please check the radar for your opinions. 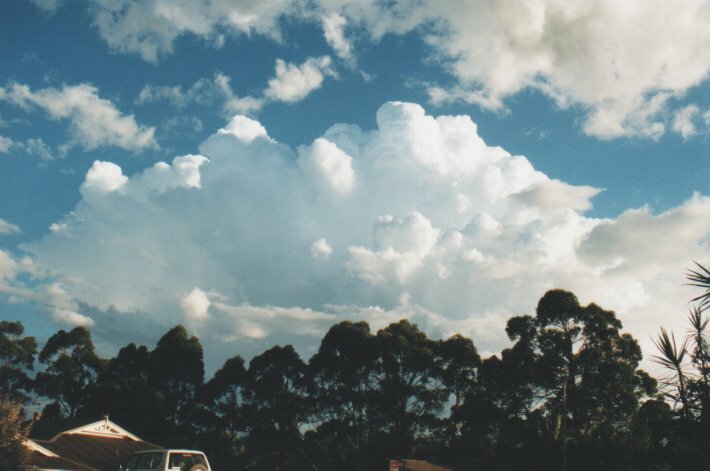 Certainly the cap was broken as a SE surge moved up the North Coast yesterday - a similar setup to the Sydney supercell on 14/4/99, however my observations suggest multicell storms only. If someone has saved the Brisbane broad radar loop, it may show the cells at the limit of Grafton local better.